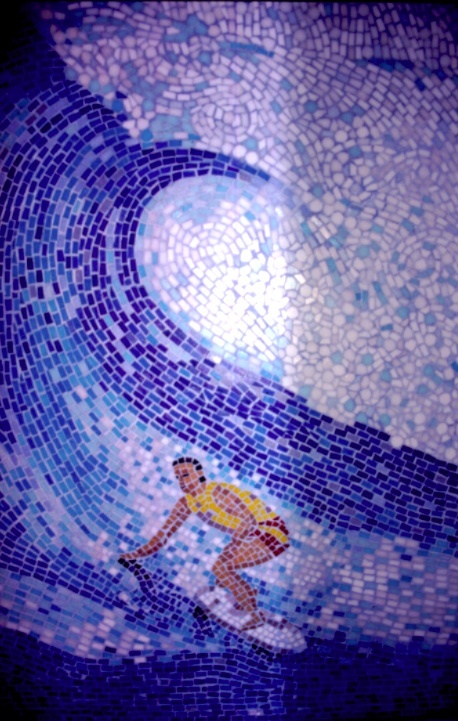 A commission for a young surf enthusiast. 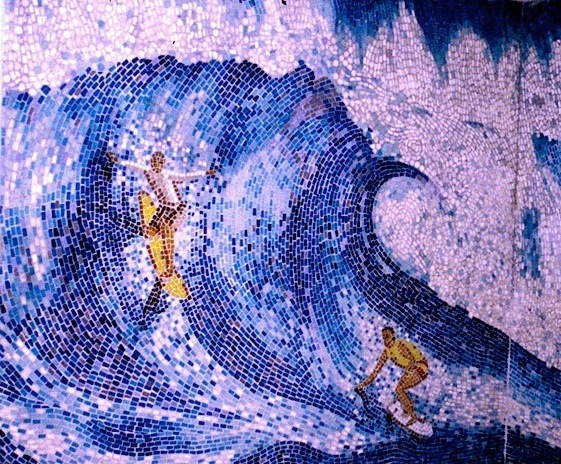 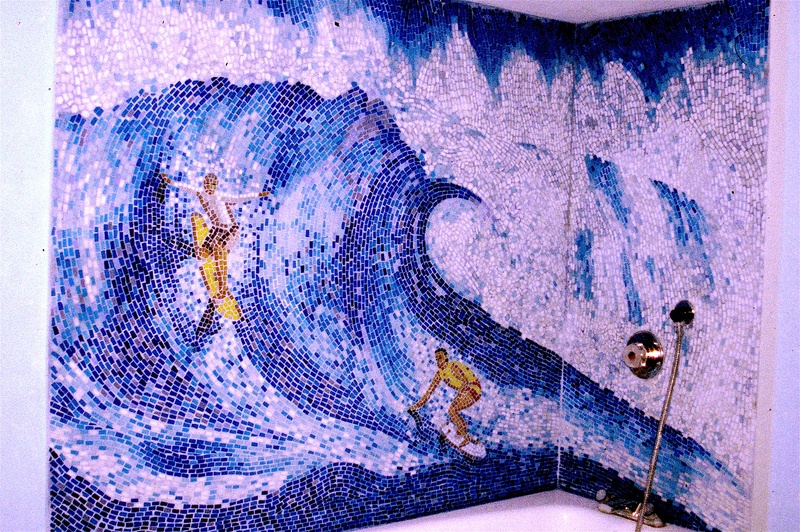 I covered the bathroom wall with an image of two surfers riding a giant wave. 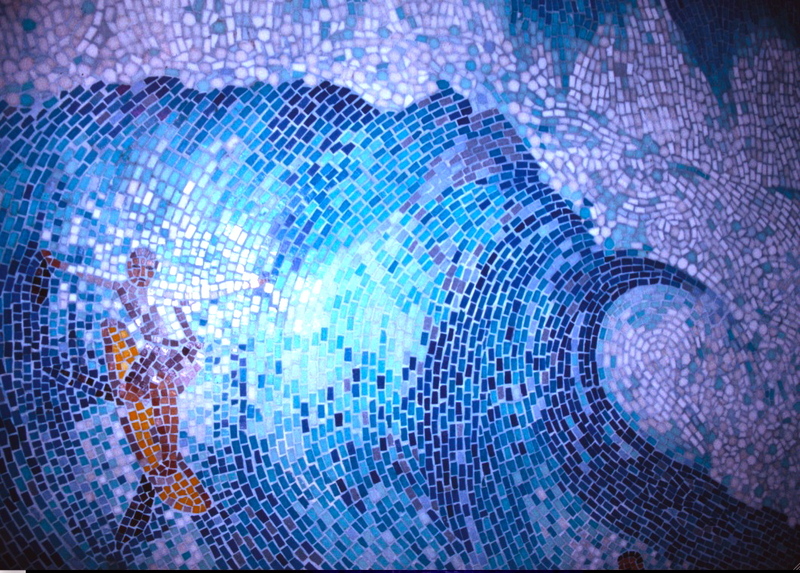 Hand cut vitreous glass mosaic tiles.